As the world continues to get more digital, it’s no secret that one of the biggest focuses in the entirety of the sport is the popular EA Sports game FIFA. One of our favorite traditions, albeit a young one, is the recent grouping up between Nike and Electronic Arts. 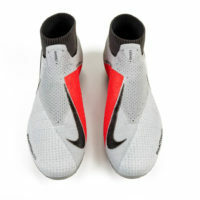 Each year, Nike releases a soccer boot that draws serious inspiration from the digital world. This boot is a limited edition release that usually divides opinion. This time around, Nike and EA have placed their collaboration on the Nike Phantom VSN. We’ll delve into the impressive technical and creative aspects of the VSN later, but the biggest talking point of the EA Sports/Nike boot is always the colorway. The last two colorways have certainly been loud, but the latest boot looked a bit understated when the first few images leaked out. When we got the boot in our hands, we quickly realized that while it might be crafted with fairly understated colors, it’s still a very busy look. 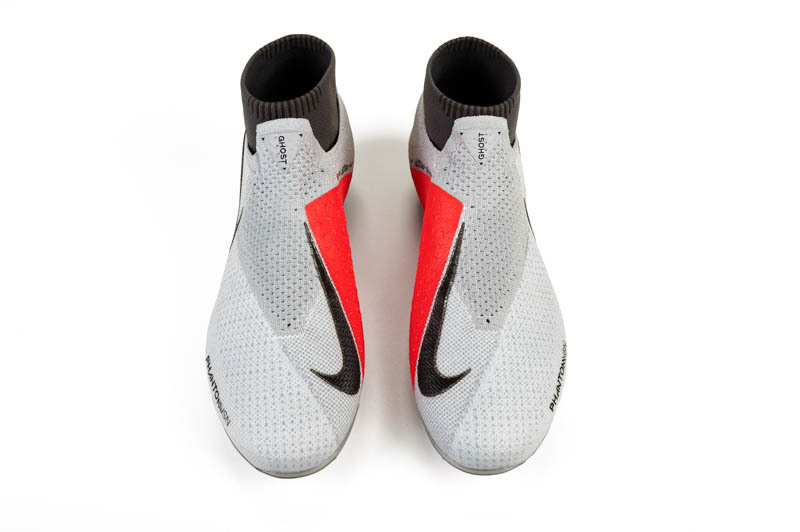 The underlying FlyKnit upper appears to be a mix of grey and blue, very similar to one of the early uses of FlyKnit on some of the women’s specific boots that Nike released. Covering the entirety of the upper is a mix of all the button options you’d find on an Xbox or Playstation controller. For any gamer, it’s definitely a great reference to the source material for this boot. The Swoosh on this boot is the brightest aspect of the whole boot, with a pink to purple look that absolutely leaps off of this boot. The top of the Ghost Laces section is blacked out, with a golden EA Sports logo on the top where the tongue would be sitting. The soleplate, for me, might be the most beautiful part of the entire boot. A blue, translucent sheen offset by incredibly bright pink studs. Soleplates like this aren’t anything new, but there’s still something special about them every single time that we get a pair that’s given this treatment. If you get tired of simply looking at how amazing these boots are and decide to give them a run, expect to quickly fall in love with the VSN’s fit and feel. The Nike Phantom VSN has been crafted to create one of the best fits on the market, with the upper built to squeeze every single part of your foot. 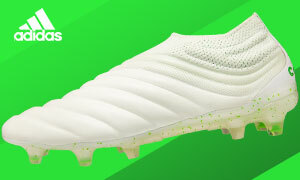 Even though the boot might look devoid of laces, they actually reside underneath a simple set-up that sits right where the tongue would be on most boots. The ball always feels incredibly close to your feet, but a nice level of padding and comfort makes sure that the feel remains soft while still not impeding your touch. As with every release from Nike and EA Sports, it always simply feels like a small taste that has us wanting more. We love the EA Sports x VSN, but we’re already ready to see what Nike brings us next year. If you’re lucky enough to have snagged a pair, they definitely deserve a high level of attention. However, if you weren’t lucky enough to add this boot to your collection, then you can rest easy knowing that there’s always next year!